I’ve been kind of obsessed with filling my house with flowers lately; spending way too much money on them, driving out of my way to the store that has the very best ones. 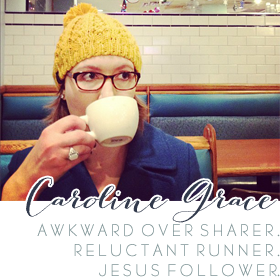 We’ve recently transitioned to a new church, and several weeks ago I attended their monthly women’s event, Sisterhood, for the first time. The theme was flourish, and there were flowers everywhere (we even made and wore flower crowns like this one. YES). 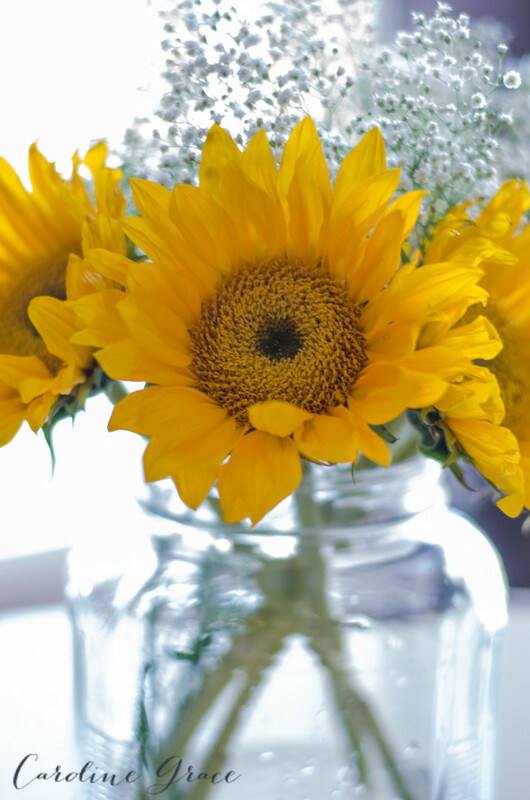 When our pastor’s wife, Oneka, got up to speak, one of the first things she said is that flowers symbolize new life, a promise that you will flourish. There have been a lot of changes, a lot of new life, around here lately, so maybe that’s why I’ve been so drawn to flowers. 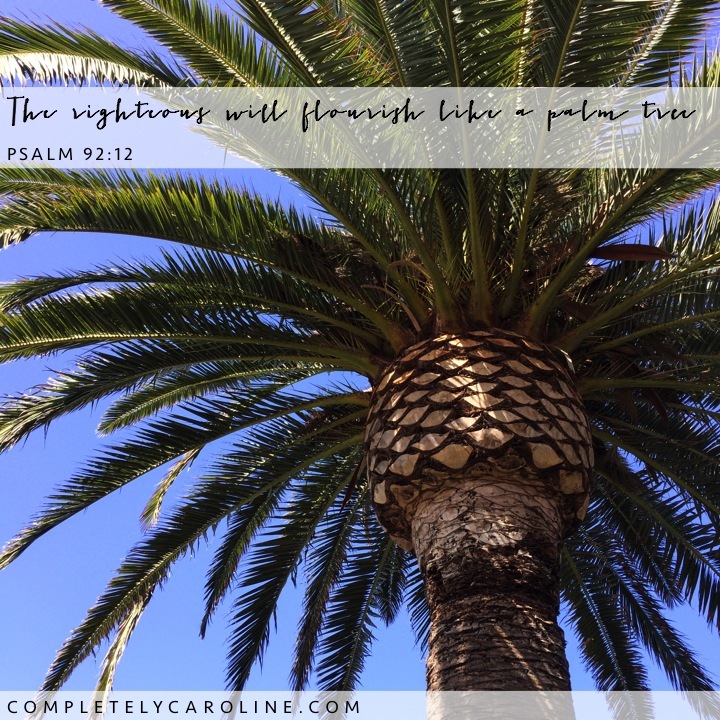 Psalm 92:12 says: “The righteous will flourish like a palm tree.” Turns out, palm trees are referenced a TON in scripture (side note: when a thing or phrase or word is mentioned over and over again in the Bible, it’s worth looking into). The thing about palm trees is that they bend but don’t break; they flourish in the desert and in hurricanes, in harsh conditions that would quickly kill other plants. Palm trees grow strong and tall in adversity and seemingly impossible circumstances. And they provide shade and nourishment, a place of refuge in the desert for those in need. Romans 5:1 promises: “Therefore, since we have been declared righteous by faith, we have peace with God through our Lord Jesus Christ.” So, the promise that “the righteous will flourish like a palm tree” is for you, and it’s for me. 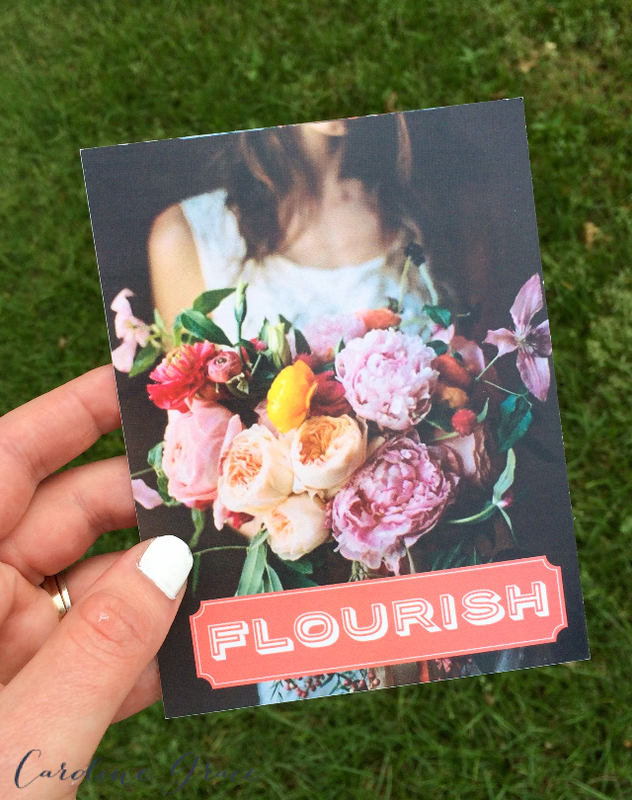 We are the righteous, rooted into God’s peace and security by our faith, with the promise that we will flourish. This is good news, friends.